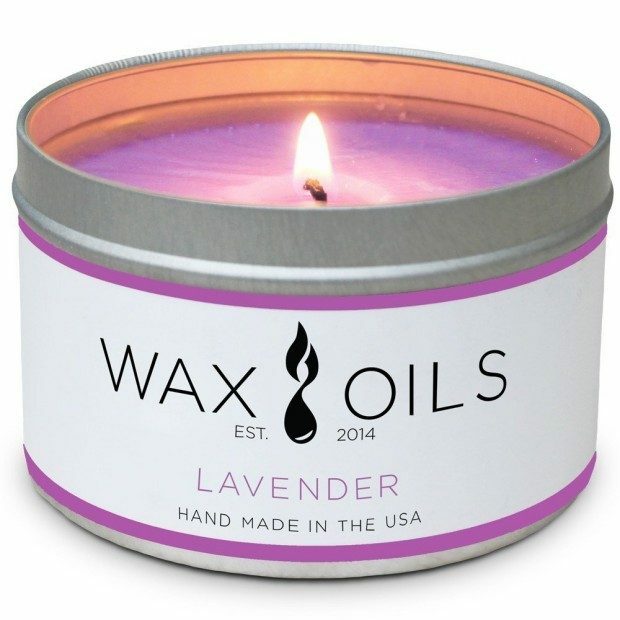 Soy Wax Aromatherapy Candles 8oz In Lavender Now Only $10.95! You are here: Home / Great Deals / Amazon Deals / Lavender Soy Wax Aromatherapy Candles 8 oz Now Only $10.95! Lavender Soy Wax Aromatherapy Candles 8 oz Now Only $10.95! This candle will make a lovely Valentine’s Day present! Head over to Amazon and order the Lavender Soy Wax Aromatherapy Candles 8oz Now Only $10.95! LAVENDER: A classic fragrance for all seasons! ECO-FRIENDLY: The wax used in Wax & Oils candles is produced from the oil of soybeans in a manner that is mindful of our environment. It is biodegradable. Soy wax is also less toxic when compared to paraffin wax. CANDLE CARE TIPS: (1) To ensure a slow, steady burn always trim the candle’s wick to ¼ inch before each lighting. Be sure to remove all charred remains of the wick from the wax. (2) Allow the candle to burn for at least 2 hours or until a “wax pool” forms over the entire surface of the candle. (3) A single 8 oz. Wax & Oils candle is perfect for a small to medium size room (e.g., bedroom, bathroom). Larger spaces will require 2 or more candles.